Former San Diego Chargers linebacker Junior Seau, and former coach Don Coryell, were two of 18 finalists to be inducted into the Pro Football Hall of Fame by a panel of 46 football writers on Thursday. The final class of 2015 will be announced on Jan. 31 in Phoenix, and the inductions will be in Canton, Ohio, in August. 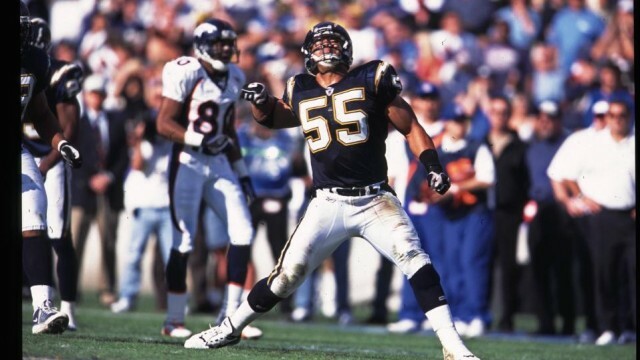 Seau—in his first year of eligibility—played 13 seasons with the Chargers (1990-2002) in a 20-year career that was highlighted by 12 Pro-Bowls, six first-team All-Pro selections and was named to the 1990’s all decade team by the Pro Football Hall of Fame. He totaled 1,524 tackles, 56 1/2 sacks and 18 interceptions throughout his career. Seau committed suicide at the age of 43 in May 2012. Coryell received the nickname “Air Coryell” during his coaching career for his unique approach to the passing game. He coached the Chargers for nine years (1978-1986) of his 14-year NFL coaching career, and also spent time as a coach for San Diego State. Under Coryell’s guidance the Chargers compiled a record of 72-60, and led the team to its first two AFC title games with the help of his quarterback Dan Fouts. This is Coryell’s fifth season on the ballot.